Posts categorized "How to join my online club"
Just five days left to get the January 2017 project PDF! Are you familiar with my brand new "no commitment, just convenience" online clubs? Any $33+ order using this month's code, 6KEGEE46, will get you the club project PDF totally free, with a bonus handmade thank-you card (another sample from the featured set!) and a Free Product Sample of the Month. Every 5th time you participate--even if it's not consecutive months--you'll get a free shopping spree as a thank you from me! Purchase the Suggested Club Order of the month OR the dollar equivalent in whatever you want, by the deadline of the 20th of the month, and the six-page, full-color project PDF will be emailed to you within 24 hours. You will be ready to hit the ground running the moment your order arrives! And it will arrive straight to your doorstep, cutting out the middle man. No more waiting for delivery! For complete details on Stamp Set of the Month Club, click here. Stamp Set of the Month Club's January 2017 featured set is High Tide, this gorgeous lighthouse and seashore set with four beautiful sayings and fool-proof photopolymer stamps to ensure perfect placement, every time. You'll love the four unique card layouts included with the project PDF, with complete measurements and step-by-step instructions--plus TWO bonus layouts to further spark your creativity. Hope to see YOUR order pop up with the club code this month! Song of My Heart's amazing new online club option, Class of the Month Club, officially closed for December 2016 on the 20th. But because it was a BUSY month for many of us, I've extended a second-chance offer for those who missed out! All you have to do is place your Suggested Club Order (or a minimum of $35 in other products) using the code SARR9PYD at checkout. The files will be emailed to you within 24 hours! 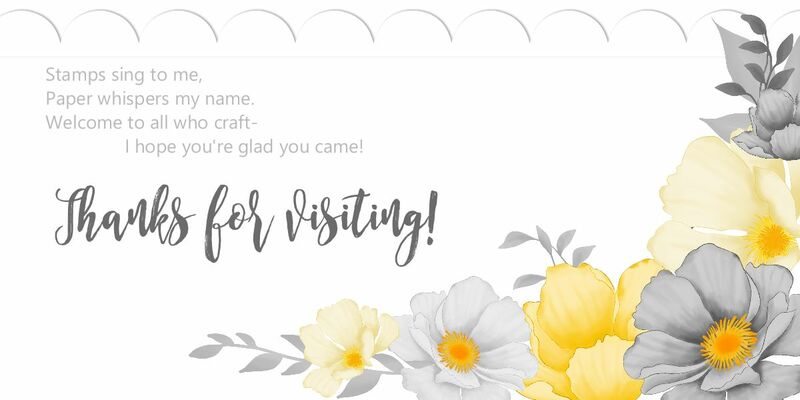 And even though the official deadline is past, you'll still get the handmade thank you card and free product sample of the month from me, too. Most importantly, you'll still qualify for the first point towards the shopping spree you get when you have participated in COTM Club five times! See the full details here, but be sure to use the SECOND CHANCE CODE: SARR9PYD to place your order no later than noon on December 31st. Your goodies will go straight to your house. Just print out the files and you'll be all set to create! Hope to see YOUR name on the club membership list, very soon! NEW! Class of the Month Club: no commitment, just convenience! I'm so excited to share my newest adventure with you--the first official Class of the Month Club! It's the most flexible club option out there. I'm so SURE you're going to love it, that I'm not even requiring a commitment to "lock you in." I choose a stamp set each month and design 4 beautiful cards with it. They will range from easy to intermediate, with at least one advanced fancy fold or technique every month. There will also be two bonus designs, giving you even more ideas for that set! I'll "sneak peek" two of the projects, so you can decide if you're going to participate for the month. No surprises! You place your order for the Suggested Order for that month (or the dollar equivalent, if you already own some of the items) on my Shop with Lyssa site, using the club code. This lets me know you want to be in Class of the Month Club and get the perks and points! The club code will be published by the first, and your Suggested Order (or dollar equivalent of other products) must be placed by the 20th. You'll be able to see what's on sale for the month and adjust your personal order to get what YOU want to add to your tools and supplies. What's the Typical Cost for COTM Club Each Month? The total will vary slightly each month depending on the stamp set, but will always be about $30. Your club order will need to be at least that for the month, before shipping and taxes. The club PDF file will be e-mailed to you within 24 hours after your order. Just print it out and start creating! Your friends and family won't know what's gotten into you. The PDF will go to the email address you used when you ordered unless you tell me otherwise. Every participant also gets their own main catalog and appropriate seasonal publications. And everyone who places a Class of the Month Club order will get a Free Product Sample of the Month inside a handmade thank-you card in the mail. The surprise sample could be ribbon... embellishments... papers... you never know! You will really enjoy getting an extra little goodie to use on a couple of projects of your own. Try it out--and if you like it, put it on your club order next month! I'm so excited for Class of the Month Club! I can't wait to share the cards with you each month. Will you be participating?